Christy L. Hertz has been practicing law for over 25 years and has dedicated the majority of her legal career to the practice of family and marital law. Ms. Hertz specializes in Divorce, Modification and Enforcement of Marital Settlement Agreements, Paternity, Time-Sharing and Parenting Plans, Alimony and Child Support, Prenuptial and Postnuptial Agreements, Domestic Violence and Probate and Guardianship Litigation and Administration. Ms. Hertz has experience in representing both individuals and corporate entities in civil litigation, collections and real estate transactions and Receiverships and Assignments for the Benefit of Creditors. In addition to having vast experience and knowledge in the legal field, Ms. Hertz is also well respected among her peers in the legal community. She has earned the AV rating in the Martindale-Hubbell Law Directory, which signifies pre-eminent designation in family law by her peers for experience and professionalism. She has also received a 10.0 Avvo Rating based upon her professional profile, years in practice, disciplinary history, professional achievements and industry recognition. 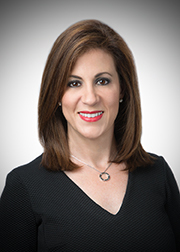 Additionally, Ms. Hertz has earned the distinction of being named one of Florida's Super Lawyers in 2008 through 2018. Ms. Hertz is regularly appointed by judges as a Guardian Ad Litem, Mediator, and Special Master in family law cases. A guardian ad litem represents the best interests of the child and is used in divorce and family law cases to act as next friend of the child, investigator or evaluator. A guardian ad litem is not an attorney or advocate for the child. Throughout her career, Ms. Hertz has represented the interests of many children as a court-appointed guardian ad litem. Ms. Hertz is a Florida Supreme Court Certified Marital and Family Law Mediator and is a member of the Florida Academy of Professional Mediators. The court-appointed Special Master acts in accordance with the court’s order appointing to assist in the progression and resolution of the particular case. As a special master, Ms. Hertz has been appointed to monitor discovery disputes, to assist with the distribution of personal property, and to preside over other contentious family law matters. Recognized by the Dade County Bar Association for outstanding contribution to pro bono work.